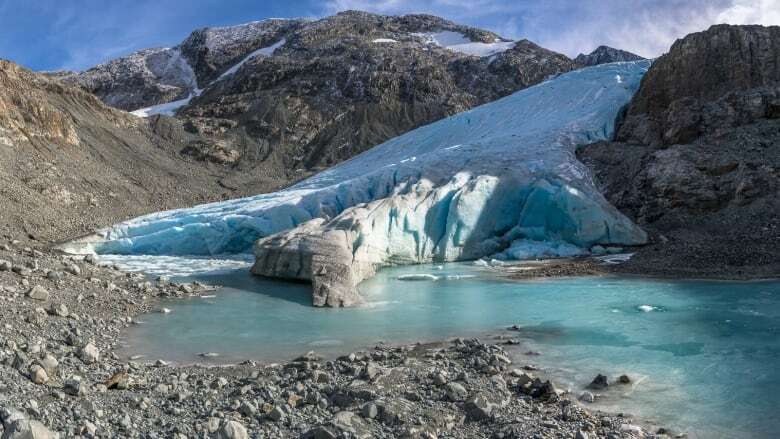 The mountains of Western Canada are one of the hotspots for warming and the magnitude of change in glaciers is dramatic, researchers say. "Probably 80 per cent of the mountain glaciers in Alberta and B.C. will disappear in the next 50 years," he said. "It's a small glacier but it's typical of what we're seeing," he said. Glaciers are formed when snow accumulates in the winter but doesn't melt completely the following summer. 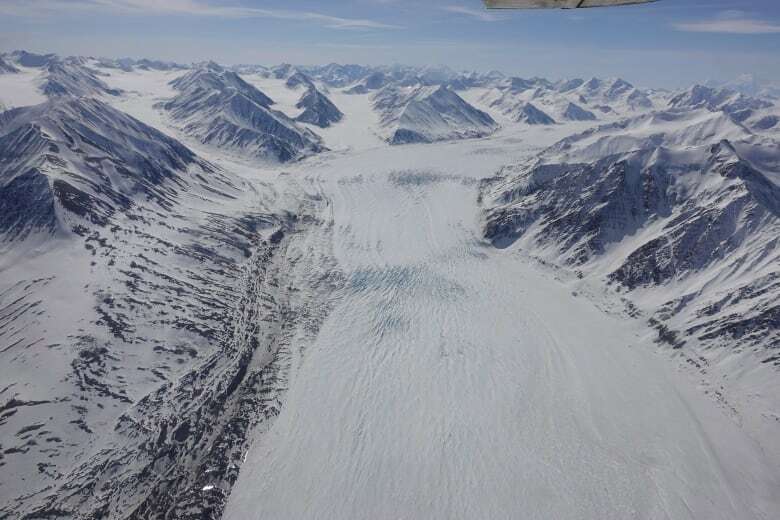 "Yukon glaciers in the St. Elias ranges have lost approximately one-quarter of ice cover since the 1950s," he said. Hik said the rate of melting varies in different places in Western Canada. "We don't have detailed measurements everywhere but where we have measurements the rates can be 25 to 70 per cent [of melt] in the last six to seven decades." "That doesn't seem like very much, but if you take the St. Elias Mountains, the Rocky Mountains and high Arctic mountains and the Himalayas-Hindu Kush and the Andes and the Alps, and if you put all of those contributions together, it counts for one of the largest increases in sea level over the past decade." "In places like the Kluane River in Yukon there is significantly more dust because the valley that the river flows through is essentially dried out," he said. But the area still experiences katabatic winds — winds coming off the glacier — which are quite strong and blow the dust from the dried stream beds further out on the landscape, Hik said. Glaciers act as a bank account during hot summers when water is scarce, Hik said. The melt also changes the way water flows and where it accumulates. "In some places you'll have locally increased water availability and in many, many, many places that water availability will be reduced as well," said Hik. Robinson said mountains are recognized as sentinels of change because they respond rapidly and intensely to climate changes. "Mountains give an important glimpse into the future and can show us what's coming down the line," he said.